If you are in a reading slump and need a page turner with an unexpected twist, this is the book for you. Alicia Berenson is accused of killing her husband, but she has not spoken a word since the murder. Theo Faber is a criminal psychotherapist who is determined to get her to talk again while also dealing with personal problems of his own. Everyone seems guilty in some way, but the truth is truly unexpected. Alex Michaelides keeps you guessing until the very end in his suspenseful debut novel. Alex Michaelides was born in Cyprus in 1977 to a Greek father and English mother. He studied English literature at Cambridge University and got his MA in screenwriting at the American Film Institute in Los Angeles. He wrote the film The Devil You Know (2013) starring Rosamund Pike and co-wrote The Brits are Coming (2018), starring Uma Thurman, Tim Roth, Parker Posey and Sofia Vergara. 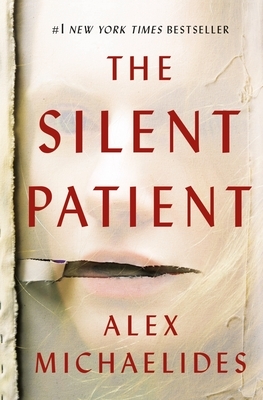 THE SILENT PATIENT is his first novel. "Pulling off a novel where the protagonist stays mum isn't easy, but this impressive, immersive debut—Brad Pitt's company has snapped up film rights—establishes Michaelides as a writer to watch." "That rarest of beasts: the perfect thriller. This extraordinary novel set my blood fizzing—I quite literally couldn't put it down. I told myself I'd just dip in; eleven hours later—it's now 5:47 a.m.—I've finished it, absolutely dazzled."